From April 6th 2017, local councils have been given two new powers as part of the Housing and Planning Act 2016. This briefing will provide you with an overview of the new Civil Penalties and the significantly strengthened Rent Repayment Orders. If you would like more detailed guidance, please see our guides on each new enforcement action. Civil penalties are an alternative to prosecution for a variety of offences under the Housing Act 2004. Previously local authorities would have to bring a criminal prosecution against the landlord or letting agent, a time-consuming process. For any of the listed offences, local authorities will now be able to fine the landlord as an alternative to bringing a prosecution against them. How much can a landlord be fined? 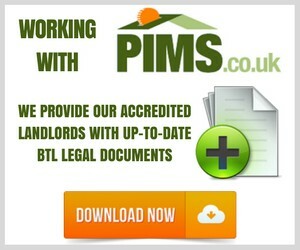 The local authority can now issue landlords with a civil penalty up to £30,000 per offence. There is no minimum penalty and there are a number of items that authorities have to consider when deciding on the level of the fine. Which offences can a civil penalty be issued for? What are rent repayment orders? Rent repayment orders (RRO) are a means by which a tenant or local authority can seek to have up to 12 months of rent, Housing Benefit, or Universal Credit repaid, usually in addition to other fines. Local authorities and tenants can now seek a rent repayment order against the landlord, where they can prove beyond reasonable doubt that the landlord is guilty of one of the qualifying offences. Please note: For a Local Authority applying for the RRO the landlord does not have to have been charged or convicted. What are the offences a rent repayment order may be made for? Tenancy Deposit Protection (TDP) schemes are required to provide specific information they hold on tenancies in England to local Housing Authorities who request the information. Only information which relates to properties in the geographic area of the Local Housing Authority which requests the information will be provided. Private sector landlord names will not be shared.